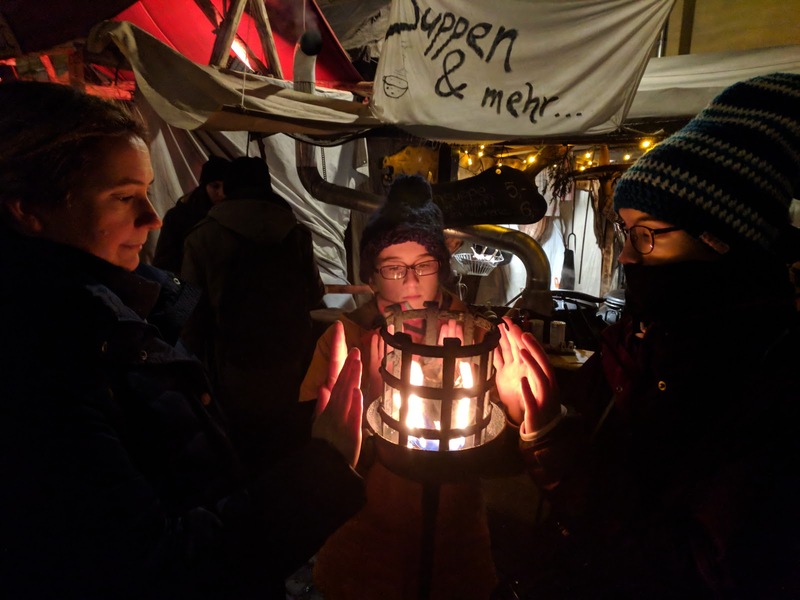 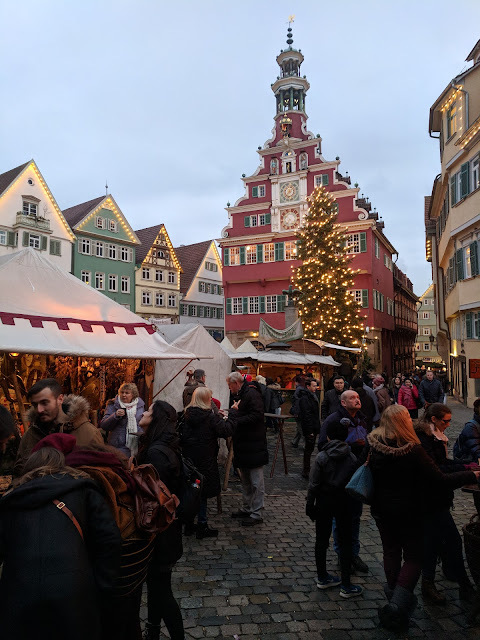 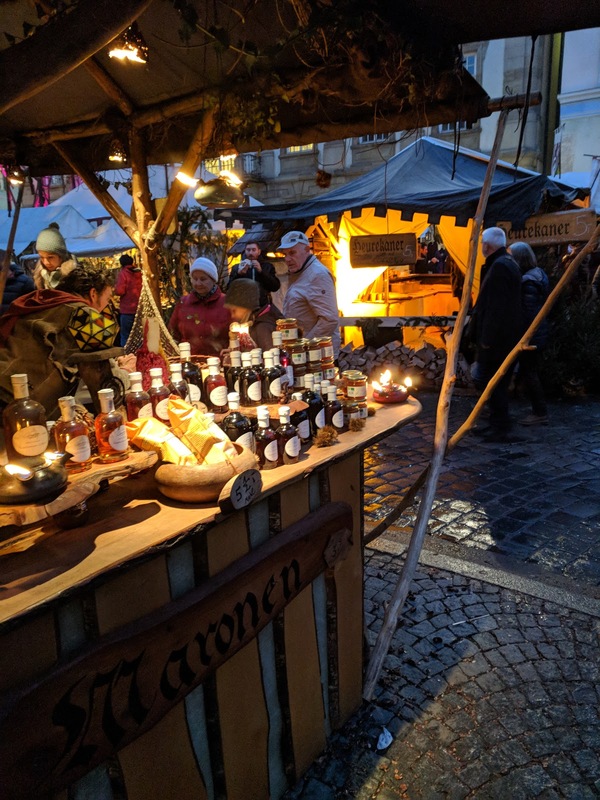 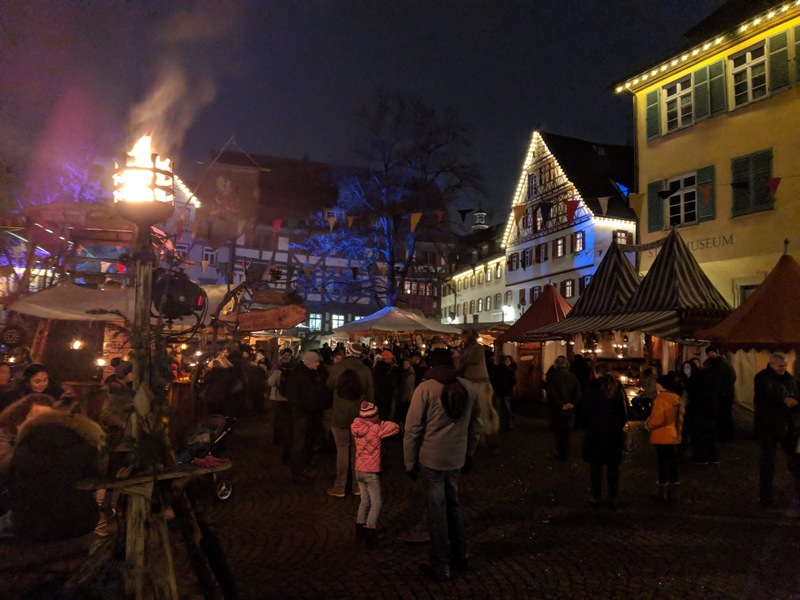 The Christmas Market in Esslingen is one of the nicest markets in the area. 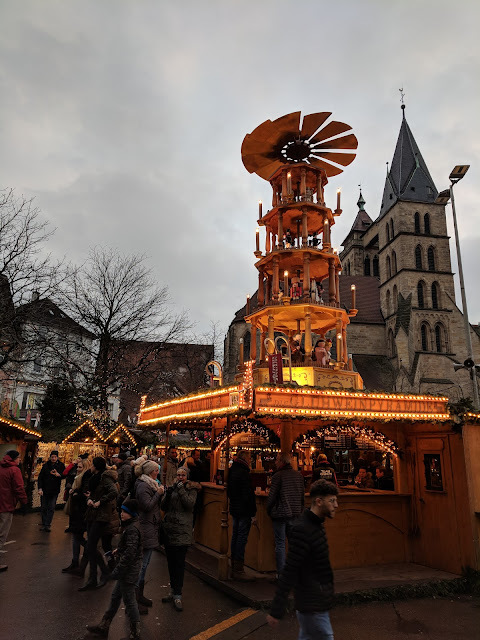 There's a "regular" christmas market and right next to it is the Medieval Market. It's fun to stroll over the markets in late afternoon and browse what the stands have to offer. 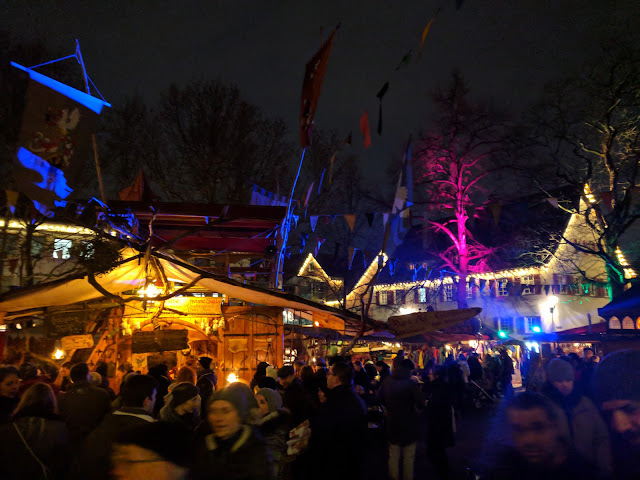 But the real magic starts to happen at dusk when the lights come on for full effect.